Through its long-standing relationship with the United Nations, Alamini Creative Group was asked to create a bi-lingual Africa Inequality Report. 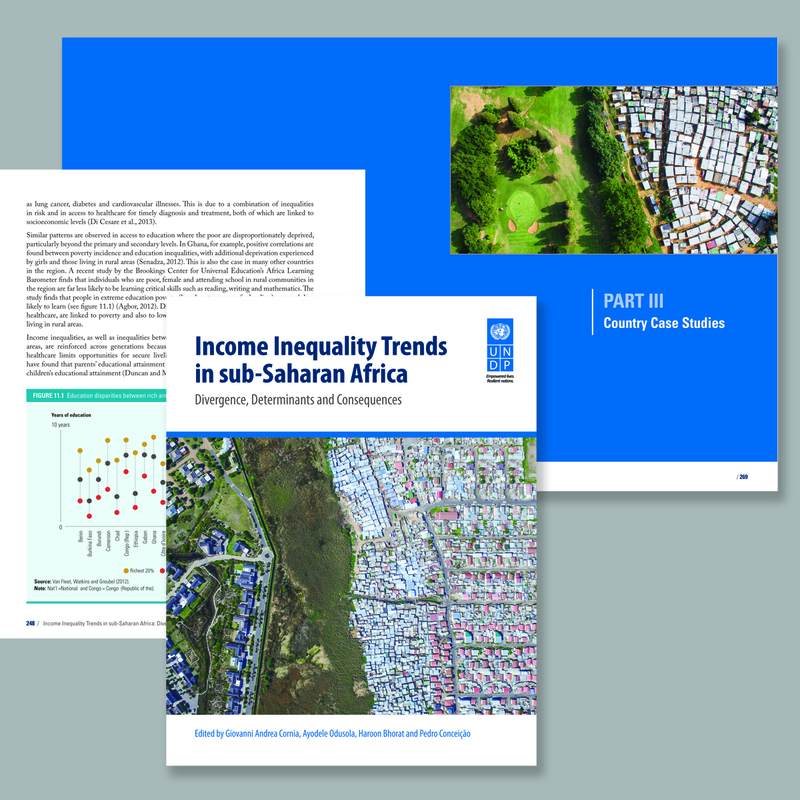 The Income Inequality Trends in sub-Saharan Africa: Divergence, Determinants, and Consequences is a groundbreaking United Nations Development Programme (UNDP) study that provides policy guidance to reduce income inequality in sub-Saharan Africa. ACG created a visually engaging report that incorporates stunning photos captured by Johnny Miller from his Unequal Scenes project, and colorful infographics and charts to highlight complex information in an easy-to-follow format. The report highlights UNDP’s challenges, achievements and the necessary actions needed to address broad inequalities in its quest to “leave no one behind” by 2030.